An ampere-hour or amp-hour is a unit of electric charge, which is equal to the charge transferred by a steady current of one amp flowing for one hour. The commonly seen milliampere-hour, expressed as mAÂ·h or mAh and often used in specifications for mobile phone batteries and power banks, is simply one-thousandth of an ampere-hour. Note that the mAh is not a unit of energy, as in a battery system any accurate calculation of the energy delivered require instantaneous voltage and current over the discharge interval, however the battery voltage varies during discharge so an average or nominal value is often used as an approximation instead. Today mobile phone users rely heavily on their smartphones and use them for much more than simply making and receiving calls. The additional features of smartphones which offer email, music, video playback & recording plus wi-fi connectivity – all consume lots of power. Having a large mobile phone battery that will provide at least a full day of heavy usage is something which most mobile phone manufacturers have failed to provide. Essentially the phone batteries have not kept up with the performance capabilities of the latest smartphones, many of which will not last a single day on a full charge. Batteries supply all the power for smartphones and are classed by their mAH rating. Higher mAH ratings mean longer battery life, no matter which phone. Mobile phone batteries are nickel cadmium, nickel metal hydride, or lithium ion cells which have a certain capacity to store electric energy for a period of time. 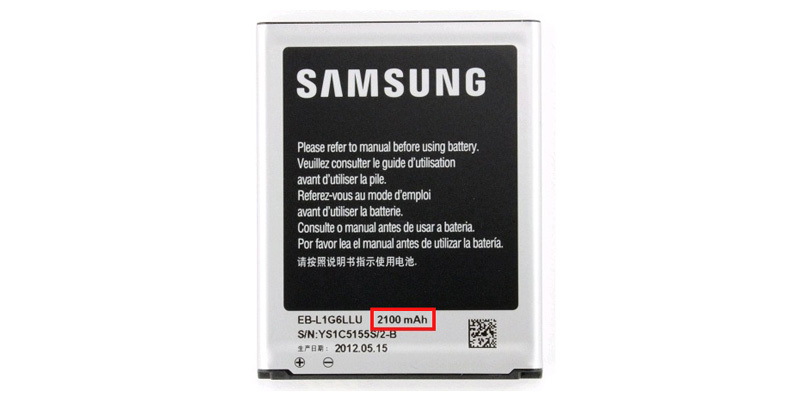 This capacity is expressed in mAH, and this mAH rating determines the length of time a battery can keep the mobile phone alive. Power banks function simply as an extra battery or external charger for your phones battery and are also rated in the same way, by their mAh capacity. However, the mAh capacity quoted by power bank manufacturers is not the actual energy stored, there are losses due to heat and voltage conversion and even the “health” of your phones battery. As a rule of thumb, estimate around 70% of the quoted capacity as the real effective capacity for charging devices. For example, a power bank with a quoted capacity of 10000mAh, will in real life provide 7000mAh of charging, so could charge two devices with 3500mAh ratings.